Part of Perry Avenue, which is home to the Anchorage and The Community Journals is getting a major facelift in the form of a new Green Space. 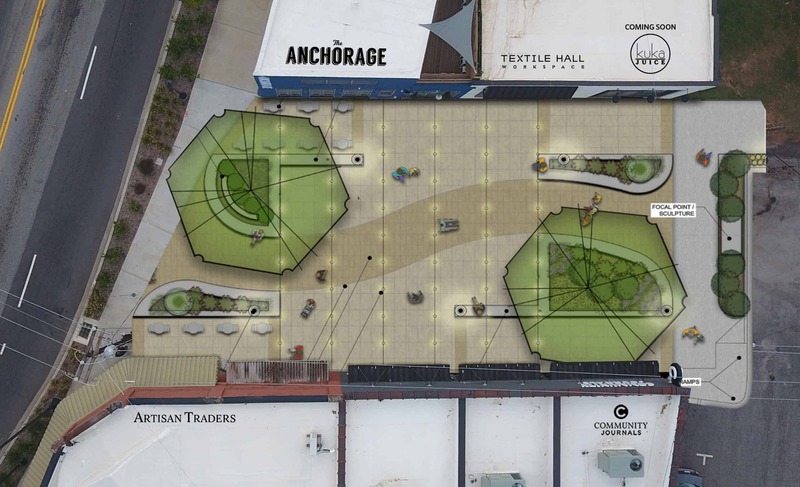 The road which is cut-off from Pendleton street by a sidewalk and barricaded just a block down will be turned into a walkable plaza. 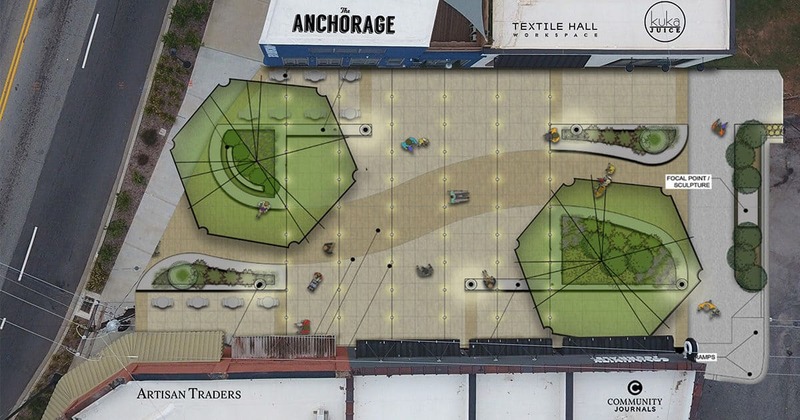 The design includes outdoor seating areas for the anchorage and building directly across from it, as well as planters and trees, along with strings of lights strung up from building to building. 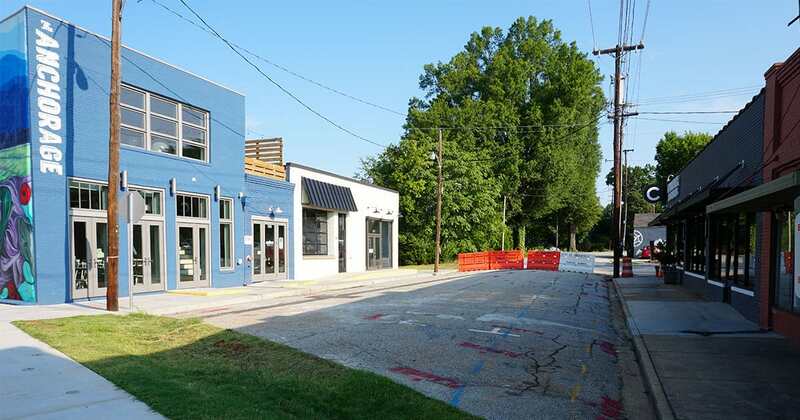 The Village of West Greenville has seen a boom in recent times of new businesses opening their doors and buying up shuttered old buildings in a sort of modern renaissance. 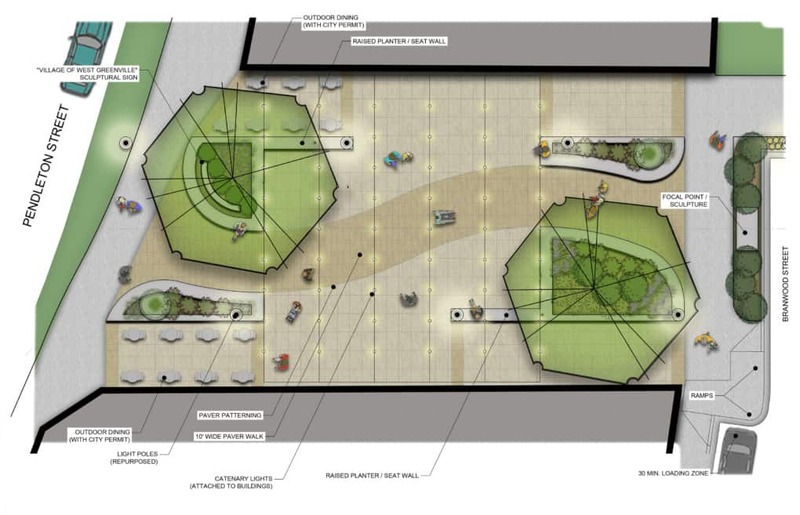 All in all it’s great news for the businesses that call the Village of West Greenville home, and a great space to hold events, or just a nice place to rest while you check out the Village of West Greenville.